We love celebrating the holidays in this house, the big and the little. 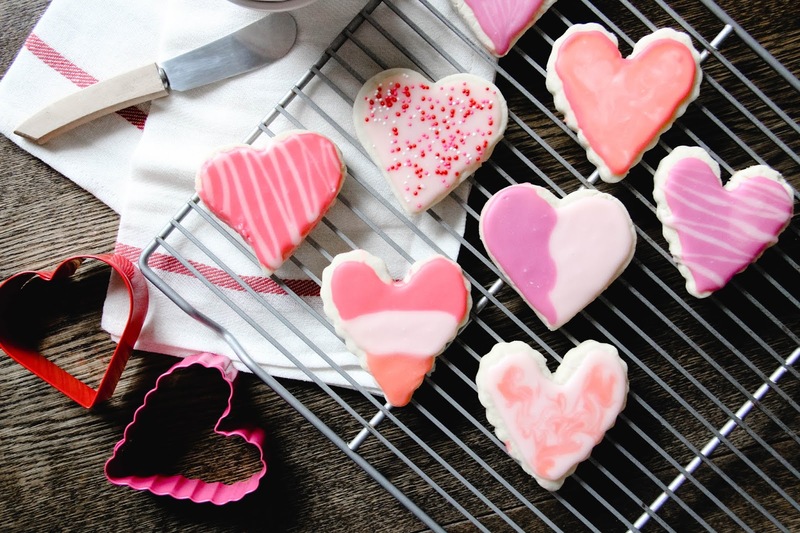 With Valentine's just days away, we pulled out the cookie cutters and sprinkles for a little baking fun on Sunday. 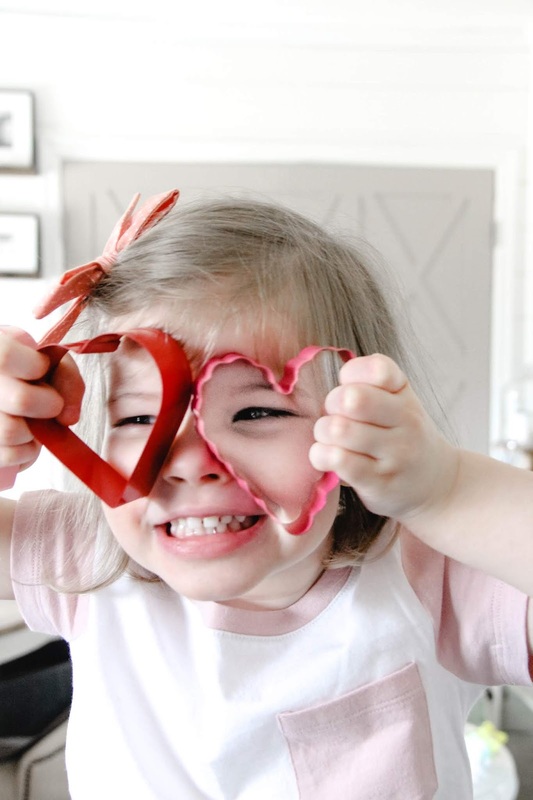 There's nothing sweeter or messier than baking with a three-year-old. Greer definitely gets her love for the holidays from her mama, and I so enjoy watching her excitement over this type of activity. She really gets into it, and I can't get enough of her enthusiasm for it. 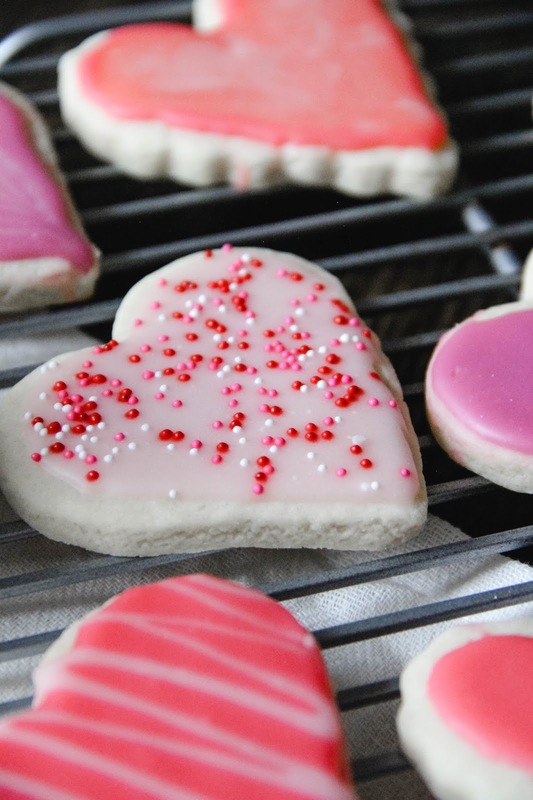 This makes this cookie + icing recipe the perfect sweet treat for making with your little(s). 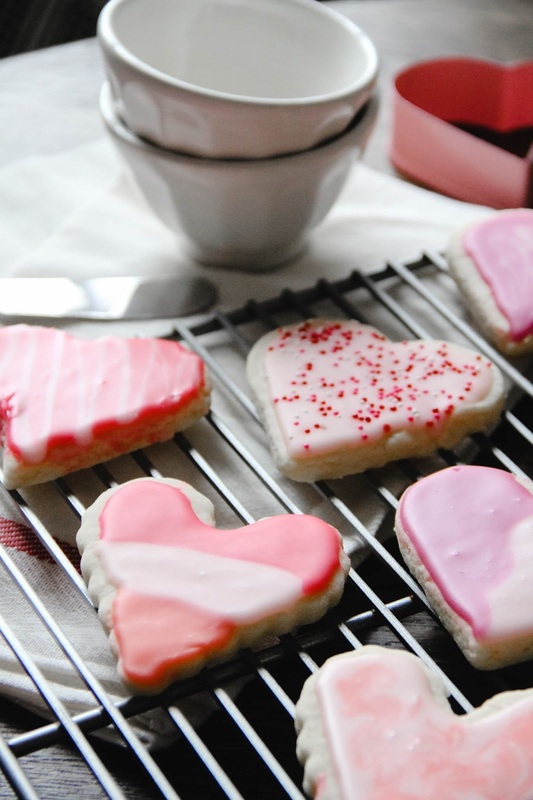 And if you're anything like me, you're going to love icing the cookies once they're baked. 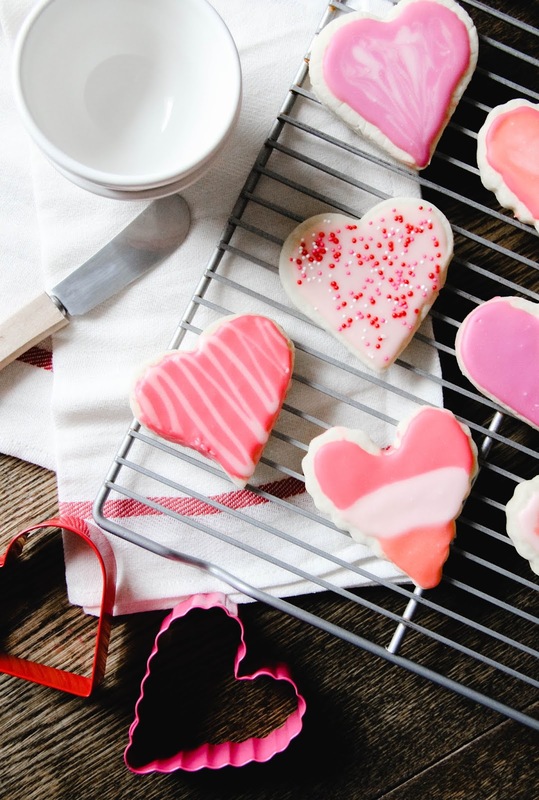 This icing sets really well and hardens, which means you have a gourmet cookie with amazing taste right from your kitchen. Soften the butter and cream cheese. Cream together the two with the sugar. Once well combined, add the egg and vanilla extract. Next add in the baking powder, salt, and flour. Stir until everything is mixed into a ball. 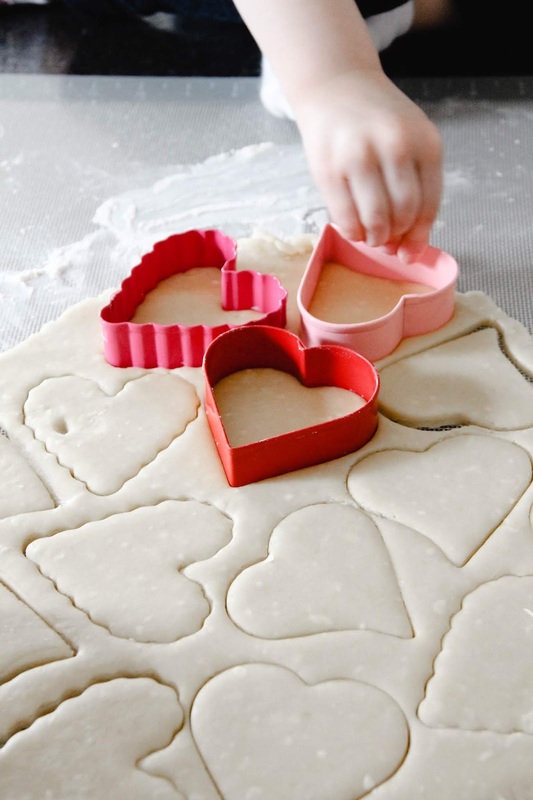 On a silicone baking mat, sprinkle out a little flour and spread evenly. Put the ball of dough on floured surface. Sprinkle and pat a little more flour on top of the dough. 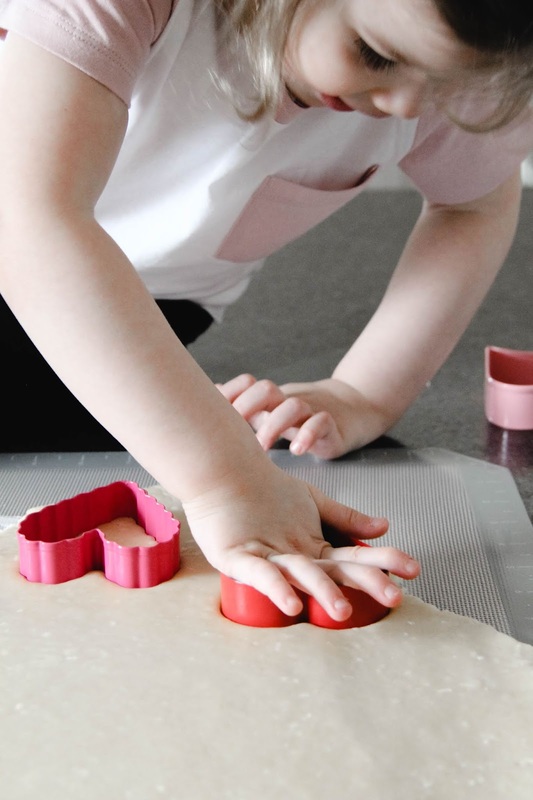 Using a rolling pin, roll out the dough to approximately 1/4" thickness. 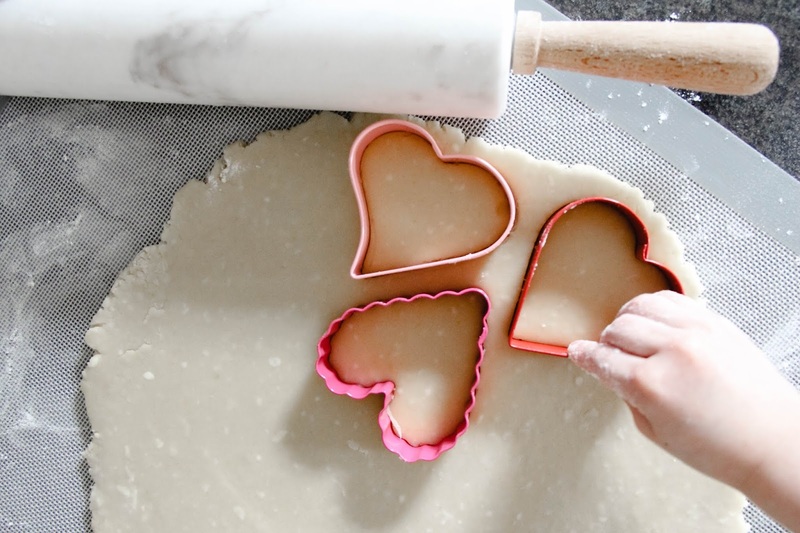 With your cookie cutters, cut out the cookies and place on a parchment paper-lined baking sheet. Bake for 7 minutes. Let cool completely on a cooling rack before icing. Put the powdered sugar in a large bowl. Add the corn syrup, vanilla, and milk. Mix well. 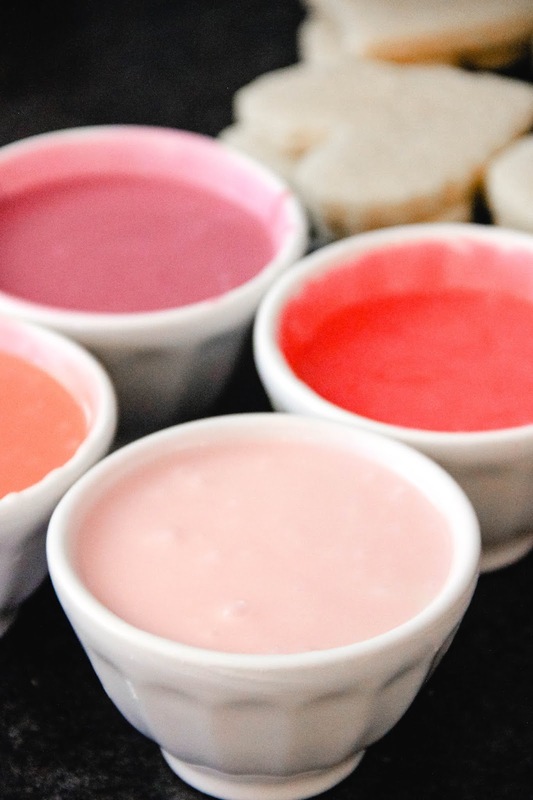 Divvy up the icing into smaller bowls for different colors. Add the food coloring as desired to achieve the look you want. We opted for blush, lilac, coral, and hot pink. Using spreaders, put the icing on your cookie. You can use toothpicks to create designs! Add sprinkles if you like! Let the icing settle and harden (it will harden on the the top and makes for a perfect icing) before storing in a tupperware.